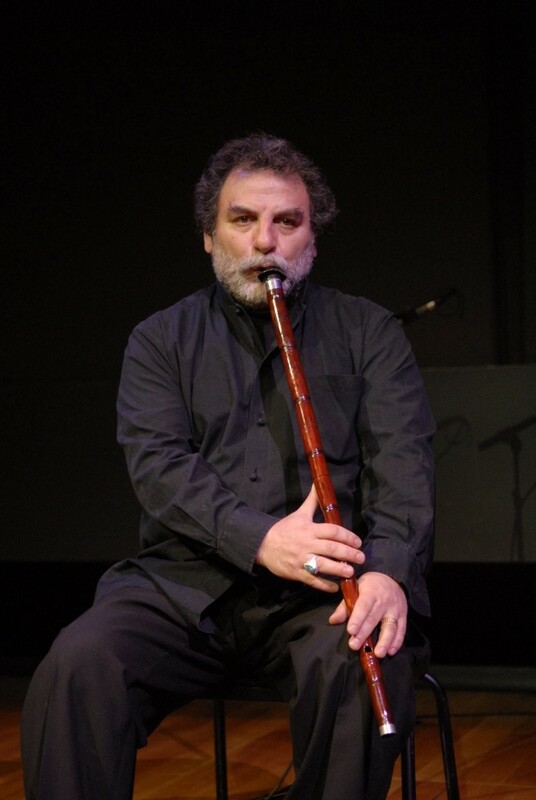 The master of traditional Mevlevi Sufi music and one of the top ney (the Turkish reed flute) players, Kudsi Erguner, will present his new project "Islam Blues" on June 29 at Zorlu Performing Arts Center, presenting an unforgettable fusion of Eastern and Western culture during the holy month of Ramadan. The term for a well-known musical genre, blues is derived from the color indigo, a shade of blue that is a symbol of mourning and sadness in West Africa. The slaves who were brought to North America in the 17th century used music as a way to soothe their sadness, singing of freedom as they worked in endless fields, and the blues were born, becoming one of the most influential musical genres of all time. On the other hand, the main theme of hopeless love and carnal deception seen in music are also evident in literature, as well. Namely, the philosophical movement known as Sufism seeks a deeper understanding of the relationship between God and man in its entirety. Music is also a central focus of Sufism and depicts the melancholy of mankind as a central theme. 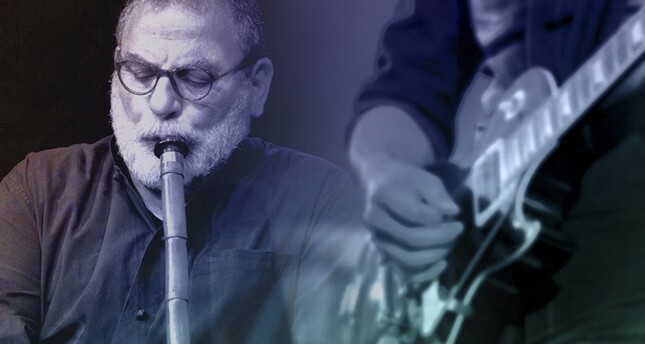 Reed flutist Erguner blends the cultures of the East and West harmoniously in a project known as Islam Blues, portraying the sadness shared by both musical genres. He first introduced the project on stage in 2001 under the sponsorship of prominent jazz music producer, Siggi Loch. Since then, Erguner has performed the project in countries across the Middle East and Europe. In addition to his on-stage musical project, Erguner also focuses on Sufism and Sufi music in his studio albums. His 2001 album, titled "Islam Blues," brings Sufism to forefront compared to his previous album "Ottomania" which was released from the German-based record company ACT. In fact, Erguner has a very close relationship with Sufism since his childhood. Growing up in a musical family, his father, Ulvi Erguner and grandfather, Süleyman Erguner, were both well-known ney players. In addition to what he learned from his father and grandfather, Erguner learned from the older musicians who often visited his home as a child. Later, when he began to study Sufism, his knowledge of Turkish classical music expanded beyond the cultural borders of music and the reed flutist revived Turkish music as a musician, musicologist, instructor, writer and translator. With his 1988 album titled, "The Mystic Flutes of Sufi," he recorded music for the whirling Dervishes and opened a new door to Sufi music. In his namesake studio album, the lyrics written by the artist are based on hymns written to praise Prophet Muhammad. Erguner created a new musical genre by bringing the atmosphere of "dhikr" ceremonies, during which God's names are recounted, together with the universal language of music, taking the audience to a place they have never been before. Erguner is a universal artist who recorded soundtracks for the films of prominent directors such as Martin Scorsese and Peter Brooke; made ballet music for choreographer Maurice Bejart and collaborated with the top musicians of his generation including Peter Gabriel Georges Aperghis, Didier Lockwood, and Michel Portal. His compositions and collaborations have been heard in the films, "The Last Temptation of Christ" and "Meetings with Remarkable Men," theater pieces and the film "Mahabharata" and the ballets, "Le Voyage Nocturne" and "Neva." Erguner was born in 1952 in the southeastern province of Diyarbakır. He launched his professional musical career in 1969 when he became a member of the Istanbul Radio Orchestra. In 1975, he moved to Paris, France where he studied architecture and musicology. The following year, he recorded the soundtrack of Brook's "Meetings with Remarkable Men" which was set in Afghanistan. In 1980, the artist received a grant from UNESCO to conduct research in Anatolia and founded a Malawi institute for the study of classical music and the teachings of Sufis following his return from Paris. From 1986 to 1987, the artist spent most of his time in Pakistan composing and recording traditional music for Radio France and France Musique. In 1987, Erguner performed a concert of Ottoman music at the Royal Albert Hall in London, one of the most prominent performance stages in the U.K.
studio album with his brother, Süleyman Ergenur, titled, "The Mystic Flutes of Sufi," featuring preludes to ceremonies of the Whirling Dervishes and "Sufi Music of Turkey" in 1990. The following year, Erguner released three albums titled, "Turquie: Musique Soufi with Ilahi and Nefes," "Oriental Dreams with Mahmoud Tebrizizadeh," and "Gazel: Classical Sufi Music of the Ottoman Empire." In 1997, Erguner partnered with Derya Türkan to record Chemins. Two years later, he formed the Kudsi Erguner Sufi-Jazz Project, with Christof Lauer, Michel Godard, and Marc Nauseef, and recorded "Ottomania." Currently, Erguner is focused on a project which blends Sufi music with blues.